Renault have teased fans by offering a tiny glimpse of the detailing that will adorn Daniel Ricciardo's car in 2019. 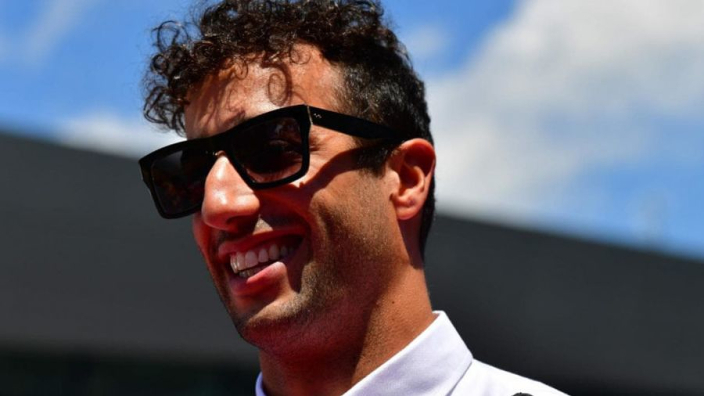 How Ricciardo fares at the French team will be one of the 2019 F1 season's more intriguing threads after his shock move from Red Bull. With less than a month to the start of pre-season testing, the F1 world is awash with rumour and gossip about the look and performance of the machines that will make up the 2019 grid. Renault are among the teams to have announced a reveal date for their 2019 challenger. Indeed, Renault will be the first team to break cover on its new car on February 12. With Ricciardo coming across from Red Bull, where he won seven grands prix in an impressive five-year spell, it remains to be seen whether the Australian can lead Renault back to its glory days, having won the drivers' and constructors' double in 2005 and 2006 with Fernando Alonso. And as fans clamour for a glimpse of Ricciardo's 2019 ride, Renault have given us the slightest morsel of a livery reveal. We can't wait for more!